Over the last five years I've gone from avoiding IPS monitors for twitch-genre games to recommending them to everyone. At first I was simply trying to find a monitor with a low response time and input lag. Next came 120 and 144Hz and 165Hz refresh rates. Today, these monitors come with G-Sync and FreeSync and are some of the most responsive around. A decent IPS gaming monitor with low input lag will cost you anywhere just south of $150 up to around the $1,000 category for those of you with the high-end gaming rigs. Why IPS vs. a TN Panel Monitor for Gaming? 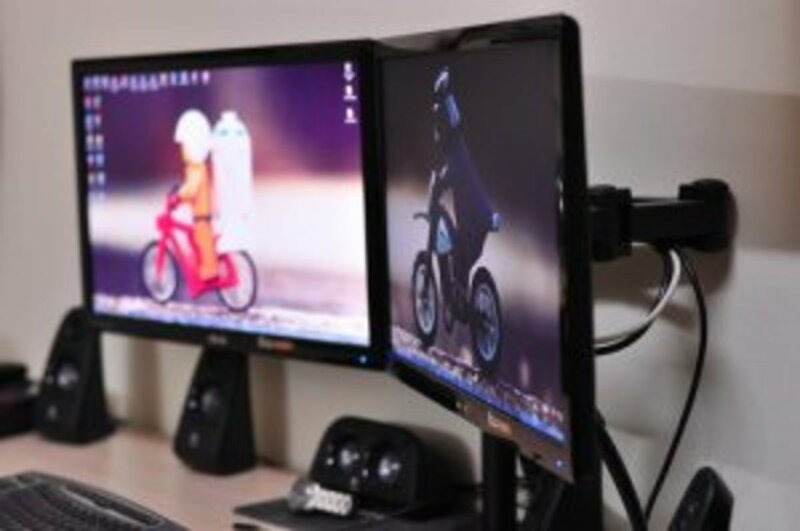 IPS monitors offer wider viewing angles and better color accuracy than their TN panel counterparts. This greatly improves the gaming visual experience. In addition if you're like me and do any photo or video editing on the side, then it's invaluable to have something more color accurate. Looking for an IPS monitor for your gaming PC? Here's a look at some good options from under $150 to just under $1,000. We're ranking monitors from high to low. So, no matter what your budget is you should be able to find something down below. These first few options have G-Sync, which need an NVIDIA GPU to fully take advantage of. FreeSync options, will be shown as well. The big showdown this year is between Asus' PG279Q and the Acer XB271HU. If you have to have the best of the best in 2018, you'll find it in the form of the Acer XB271HU and the Asus ROG Swift PG279Q. With the PG279Q Asus ROG Swift PG279Q at around $1,000 and the Acer model at $800 they're both pricier options. The previous generation XB270HU comes in at around $700 and should provide a good value option for some. So, if you're looking at this price point, what are the differences that you'll find between the two? Here's a quick summary. 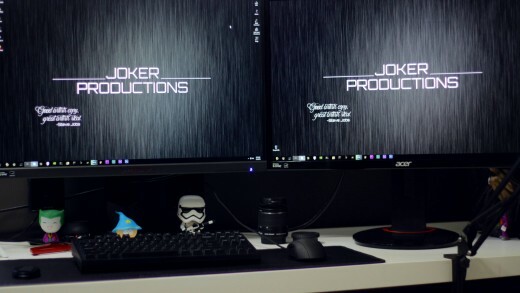 When you see both of these monitors side by side, the first thing you'll notice is that their some of the better-looking monitors you've ever seen. G-Sync makes an amazing difference and the higher refresh rate with it is something you'll have to experience for yourself. I'd give the slight edge overall in the picture category to the Asus PG279Q Swift as the colors just seemed to pop very slightly more. With Acer's improvements to its bezel and stand, there's even more to like about its next generation XB271HU Predator gaming monitor. Out of the box the Asus model feels a bit better constructed than the Acer Predator XB271HU and has a few more features as well. One of these features is the joystick on the back, which makes navigating the menu much simpler than what you'll get on the Asus. 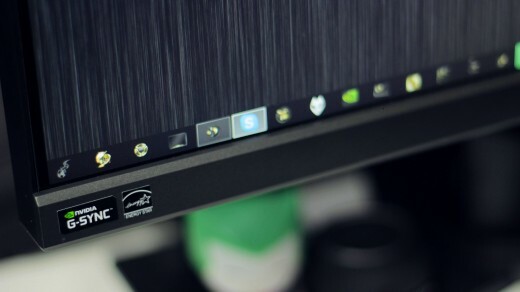 For Bezel, both of these monitors are ultra-thin and, in my opinion, equals. However, the XB271HU's bezel design is greatly improved over the XB270HU of last year so I'd give props to Acer for fixing that. 165Hz vs 144Hz vs 120Hz - Does it Make a Difference? Having experienced gaming on all of these refresh rates, I'd say that it largely doesn't matter. In other words, if you already got a similar model from last year, I'd wait to upgrade at least another year. Both of these monitors have a bit of backlight bleed or IPS glow. This is normal with these types of monitors. Occasionally, I've seen monitors with worse glow than others, so if you're concerned with that, you may have to try out more than one. The big question here is whether or not premium features on the Asus, like the menu joystick, are worth the 20% price hike vs. the Acer XB271HU. It's a bit brighter and a bit sturdier but very similar quality overall. However, with the Asus model coming within $50 of the Acer model, our recommendation is to go with the Swift. There's a lot to like about Acer's XB271HU (left) when compared to last year's model, the XB270HU. The thinner and better constructed bezel along with sturdier stand are big improvements. Now a year old, the Acer XB270HU still has a place in the market. At $700 a bit cheaper than the XB271HU and, in my opinion, has a similar picture. In terms of responsiveness, TFT Central showed that the 3ms total input lag and 4 to 5ms response time make it as fluid as any IPS monitor available. While the response time isn't quite as good as the previous year's Asus ROG PG278Q monitor, it's still one I'd recommend for my top gaming monitors list. 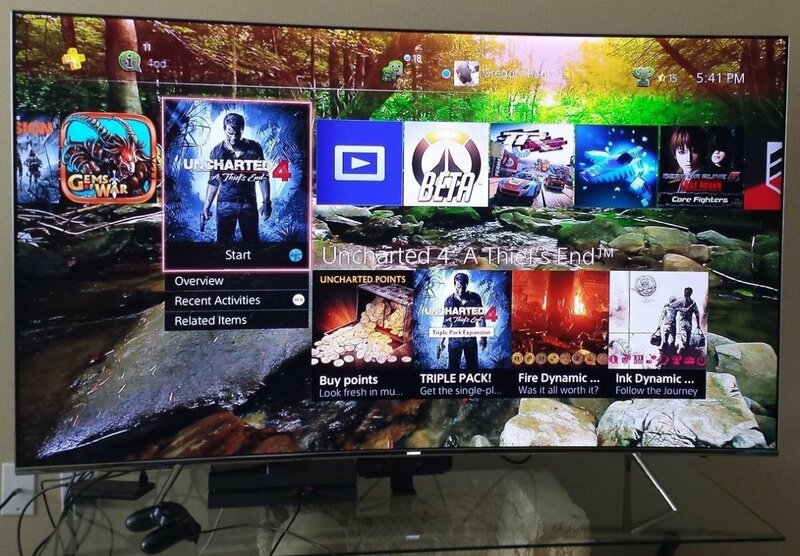 If you've got a machine that can power today's latest games in 4k, I'm envious. Like many of my friends you probably have an SLI configuration of 980Tis that makes it all possible. 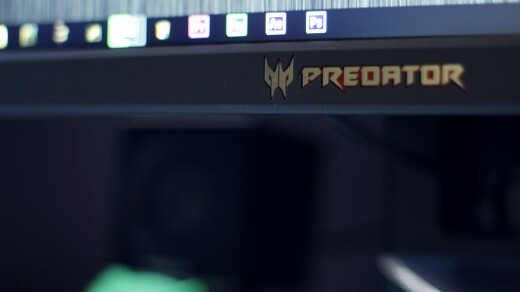 If that's you, I highly recommend you take a look at Acer's brand new Predator XB271HK gaming monitor. It's a 4k IPS UHD panel with a gray to gray response time of 4ms. While it doesn't have the super fast refresh rate of the 1440p monitors above, it does have G-Sync which eliminates screen tearing and display stutter while getting rid of any input lag. 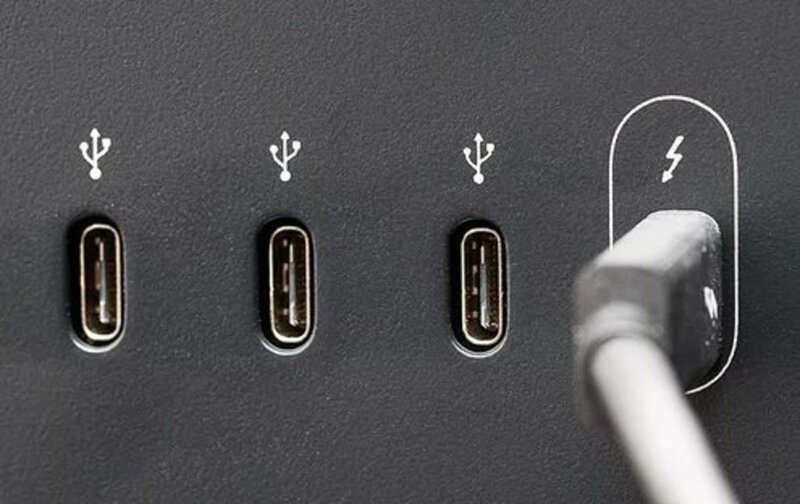 Connectivity is versatile with 1 x DisplayPort, 1 x HDMI v 1.4, and 4 x USB 3.0 ports. Overall, it's a good deal at around $900 and worth it if you'd rather have resolution over higher frame rates. Whether you have an AMD graphics card that uses FreeSync or you simply want a couple of good IPS displays, here are a couple of good options. 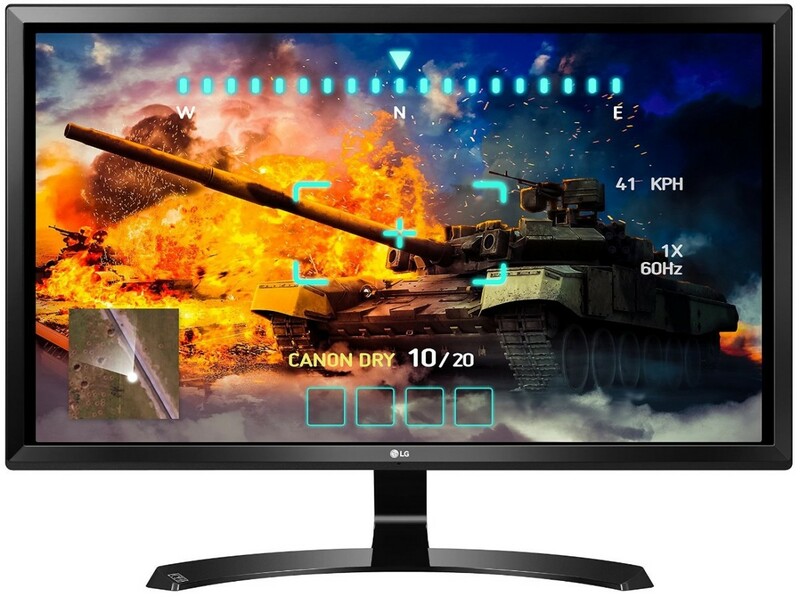 The 27UD58-B from LG is a fantastic option for gamers looking for a 4k IPS monitor with low input lag. Additional gaming features like game mode and black stabilizer allow some flexibility based upon the games you're playing. 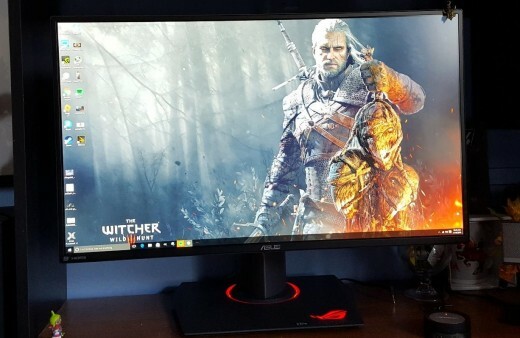 In addition, this monitor has FreeSync. So, if you have an AMD graphics card, you'll have a tear-free experience. The 27UD58-B has a 4k S-IPS panel with fantastic viewing angles and 10 bit (8+A-FRC) color. For gaming it has a sub 1 frame input lag and around a 5ms response time. For refresh rate, it has 60Hz. However, for most this isn't an issue as in 4k going over 60 frames is difficult to drive in modern AAA titles. In terms of color accuracy, it's decent at around NTSC of 72%. It's certainly not for use with high color-sensitive jobs; however, for those who don't need to keep colors perfectly accurate, you'll still get a fantastic experience. You'll get whites that are whites and good blacks too. Overall, this is a fantastic series of monitors if you're looking for a good FreeSync or low input lag IPS monitor to game with. There's a 24" model of this exact panel; however, LG also has a 34" Ultrawide option in the 34UM57-P that we feel is worth looking at for gaming. For around $100 less, take a look at Asus' MG24UQ. It has a lot of fantastic options you get on more expensive monitors and costs just around $300. Options I really like include the 5-way OSD joystick for quickly accessing and controlling the monitor. When you want to change color for a lot of different games, this makes things easy. In addition, the MG24UQ is a very ergonomic choice as it includes pivot, tilt, and swivel adjustment. 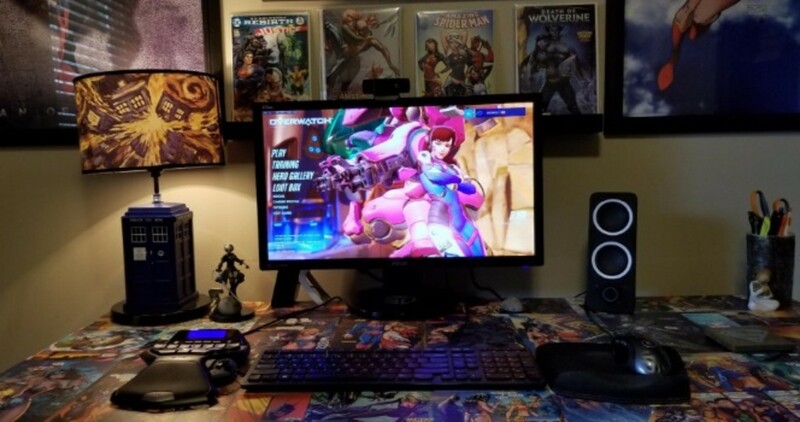 If you're picky about the position of your monitor like I am, this is something you'll definitely appreciate. The other thing I really like is that this monitor tends to be easy on your eyes. If you go from work on a computer to playing computer games afterwards, this is a must-have. In terms of 4k responsiveness, this is one of the better options you can get with just 10ms of input lag. Right now, this is as good as it gets. Even if you don't have an AMD Radeon graphics card, there's still a lot of appeal here. An inexpensive price, great looking panel, 4k resolution, and great gaming features all make the Asus MG24UQ a fantastic buy. Also, if 1440p is enough and you'd prefer a bigger option, you might want to consider Asus' 27-inch version of this monitor. Don't want to spend $500 or $1,000? Here are two fantastic IPS monitors that have low input lag and cost under $150. If you're looking for a budget option, I really like the Asus VS239H-P. It's a great value from $130 to $150. Don't have the money for one of the expensive monitors above or the graphics card to run above 60Hz? Here's a budget gaming monitor that's both responsive and a great value for the money you spend. 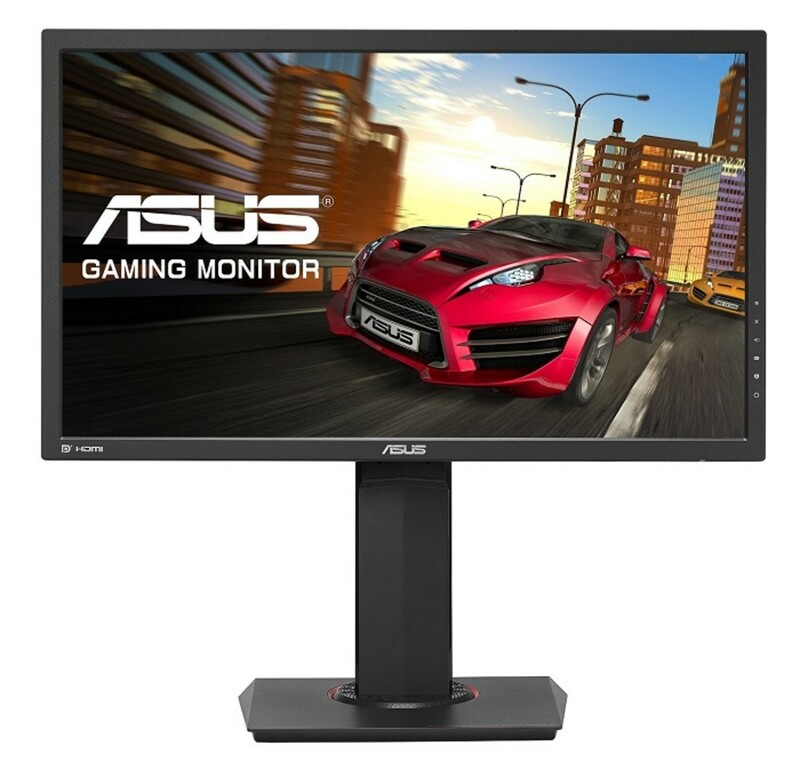 Before I upgrade to the more expensive monitors above, I used the Asus VS239H-P. It has an e-IPS panel, a 5ms GTG response time, and overall input lag of less than 1 frame. For connectivity, it comes with DVI, Analog, and HDMI ports along with standard 100x100mm VESA wall mounting holes. Overall, it's a great deal at just around $130 and should be a major consideration if you're looking to switch to a monitor with better viewing angles and color. 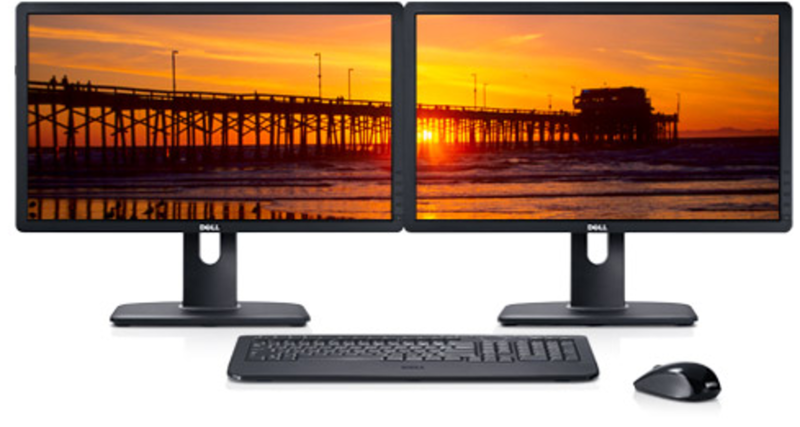 Two of Dell's U2312HM Models side by side. 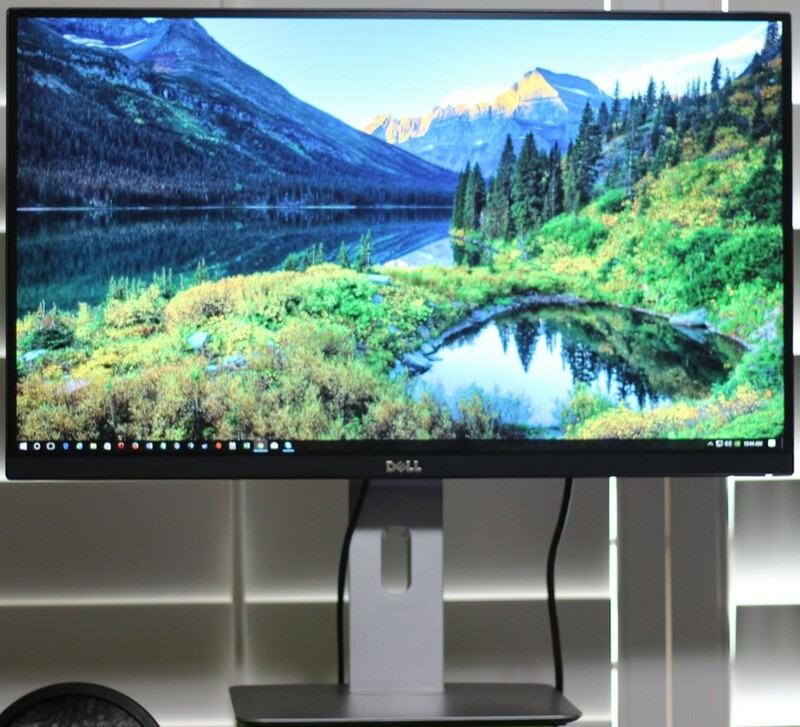 If you're looking for a less expensive option that's still fairly responsive, I strongly recommend you take a look at the Dell UltraSharp U2312HM. For around $200 you get an IPS panel monitor with wide viewing angles, .6ms input lag as shown at TFT Central, and 8ms GTG response time. 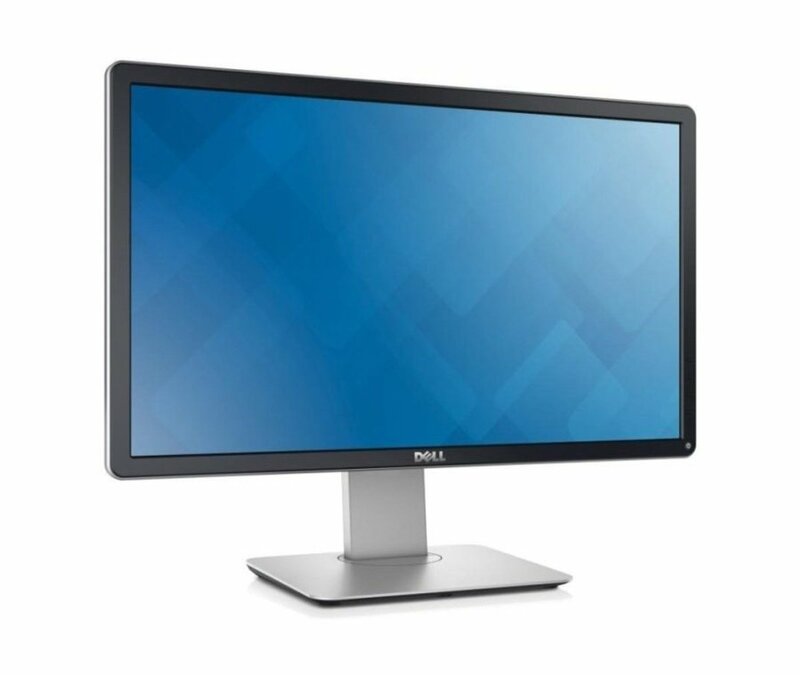 While this monitor does have a somewhat high response time when compared to TN panel monitors, it is not bad when using Dell's overdrive feature. Most won't notice the slight motion blur of the U2312HM. Overall the U2312HM is a solid gaming monitor at a good price. The previous year's model, the U2311H, is also a very good choice showing slightly less blurring with a higher, but still low, input lag of 10.6. In terms of value and quality which IPS gaming monitor is the best buy? I recently finished a post on low input lag TN panel gaming monitors where I compared what I feel are the best TN panel gaming monitors at this point in time. 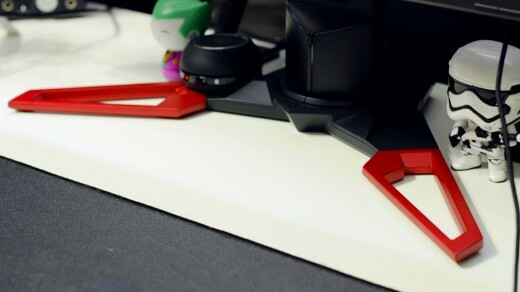 Compared to IPS monitors, TN panels made for gaming in general, do have faster response times. That being said the magic number for me personally is 4ms gray to gray which many of the e-IPS panels on the market are able to accomplish. Want to familiarize yourself with PC gaming monitor terms? Here's a shortlist I made for you to reference. In terms of your monitor, this is the time it takes for a pixel to go from the deepest black to the whitest white and then return back to black. Manufacturers tend to post a GTG or gray to gray response time in order to post a faster time. A slow response time can introduce blur and ghosting. I find this to be especially prevalent in monitors with a response time above 8ms. The lower the response time the cleaner fast action movement or scenes will be rendered. This is the delay from when an input is entered in your keyboard, mouse, controller, or other device, and when it is displayed on your monitor. This statistic is especially important when it comes to twitch sensitive fighting, RTS, or FPS games. Under 1 frame of input lag or 16ms or less is considered good in terms of gaming. Your monitor's refresh rate is basically the amount of times per second it draws the images which it is receiving. A higher refresh rate gives players a smoother playing experience overall and allows you to see your opponent the second they make a move. It's important to keep in mind that the refresh rate of your monitor is also affected by your video card. 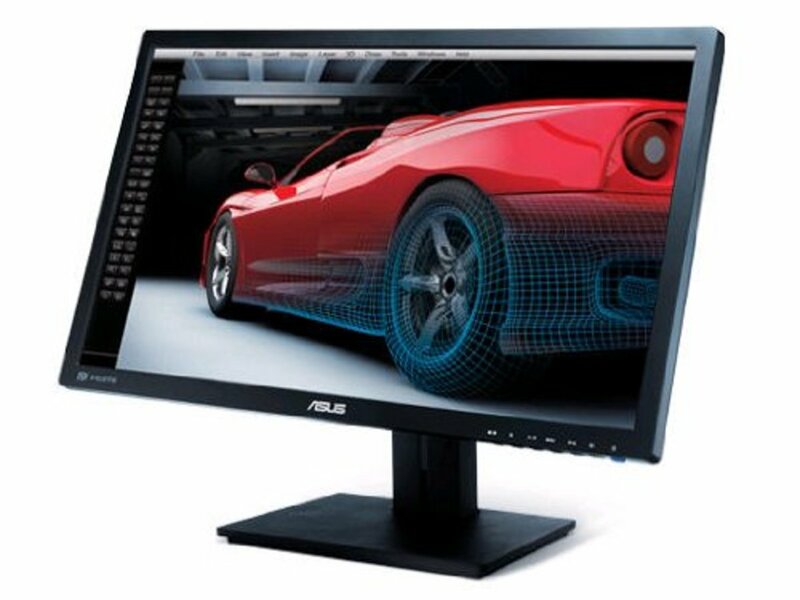 Since most monitors have at least a 60Hz refresh rate you'll need a video card that can give you in excess of 60 FPS or frames per second in order to take advantage of what a 60+ Hz refresh rate monitor has to offer. I wish there was a IPS monitor in 24 inch with 240 hz refresh rate and 1ms. This is all I really need. @Brandon Hart is there an example for shawn makaveli's comment? Acer R240HY everything gaming about this monitor. Input lag with real tested results and actual gtg specs. That day is already here. These are all puny compared to CRTs. Puny puny. I'm sticking with my Alienware 120Hz 1080P. Single graphics cards just now became powerful enough to run 1080P fast. But just when that occurs they want you going higher rez like 4k. New kids are slow vs old school gamers. Quake1-3 fast needed CRT speed. Now everyone slow COD players so they live with lag worse than 1998.
anything less than the hpzr30w--in terms of size--and in terms of its generously beautiful performance--is not worthy of comparison. this is a seriously great monitor. the review here is accurate. the price is not easy. the gift of it when one uses it for gaming is not at all disappointing or frustrating. 23 inch. 27 inch. no. 30 rules. if there was a bigger monitor not made by the inept lg name, I would own it today. have the hpzr30w, more than 2 years, nothing better out there now for the price and the effort to change to some new monitor. new offerings since this monitor are mere adjectives, no substantial nouns. U2312HM has an input lag of just 9.3ms. Believe it or not it's used by many gamers. Its real average response time is almost 20ms and inputlag is 26ms... seems at least "not suitable" for FPS games. 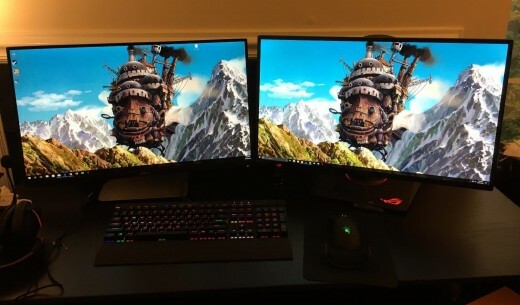 What about the overclocked IPS monitor from places like Overlord Computer? They have some nice 120hz(OCed) 27" 1440p IPS.